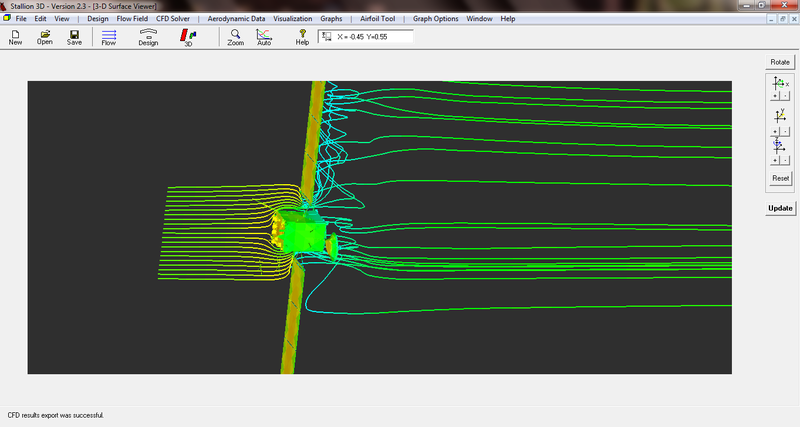 AG/CFD (Actual Geometry) Analysis performed by Stallion 3D with HIST for #SimulationFriday. Stallion 3D took just seconds (with no need for pre-processing) to automatically import, grid and begin the compressible Navier-Stokes analysis of the water vapor, ice particles and dust streaming past the Rosetta orbiter in the wake of Comet 67-P’s. Close up of the orbiter geometry in Stallion 3D. Analysis for the arbitrary geometries was performed on a on an HP Pavillion Laptop (Quad-Core) for a total of 4 hours. More information can be found at http://www.hanleyinnovations.com. At Hanley Innovations, we develop software tools that enables you to easily transform your ideas into actual flying prototypes. One way to get your idea to work is to start with a concept about which you are quite certain, I mean really, really confident (an airfoil, for example), and then, like the Science Channel suggest, you Build It Bigger. With a family of airfoils in hand (because no one can fly in 2-dimensions), the concept steps up to a wing (because birds have them and .... they can fly very well). 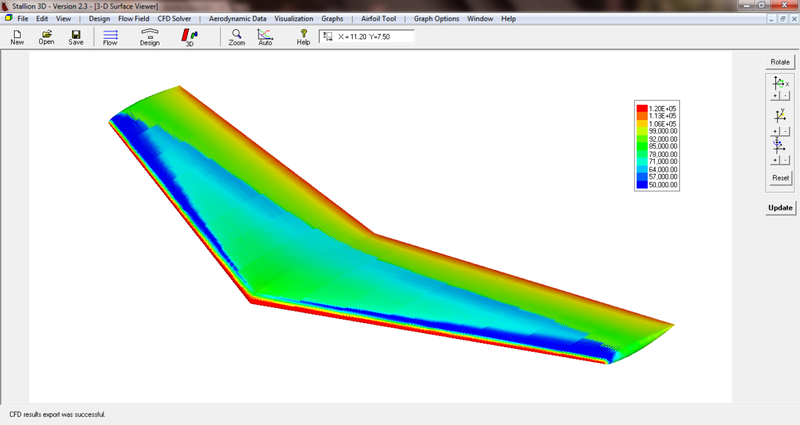 The next simple step is to extrude your airfoil (s) into a 3-D surface to support your weight at various flight speeds. 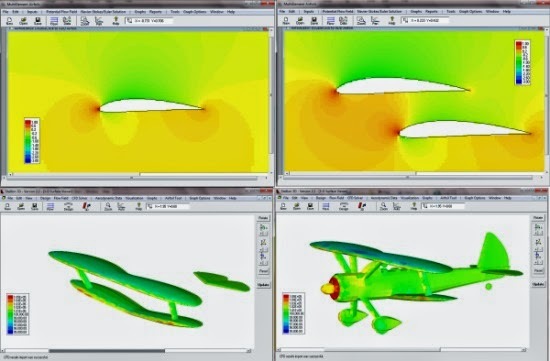 What is soon realized is that other surfaces of various shapes, sizes & orientation (which use your original airfoil concepts) are need to help balance your design in flight (stability). Stability depends in part on weight distribution (center of gravity) over the entire (what we can now call) airplane with respect to the neutral point (similar to aerodynamic center) location. and Workout Weight and Stability Issues. For most people, trial by 3DFoil, results in concepts which you print, template and fly. But what if, just what if you still want to Build it Even Bigger. Stallion 3D can be used to take concepts even further. 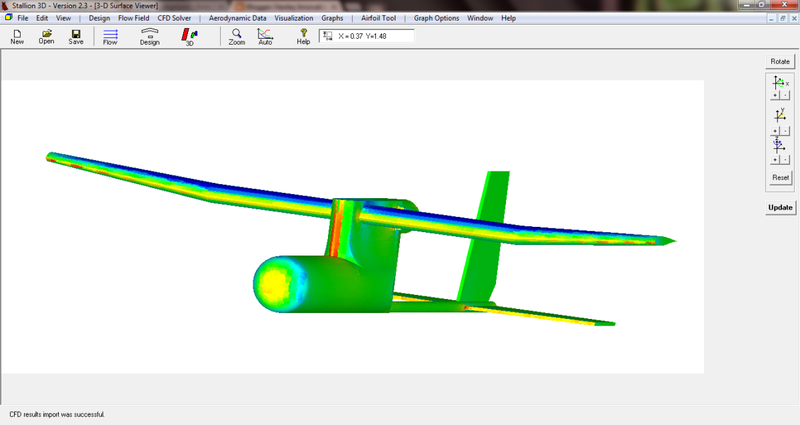 The program can actually read-in your project files from 3DFoil and further the analysis of your concept. 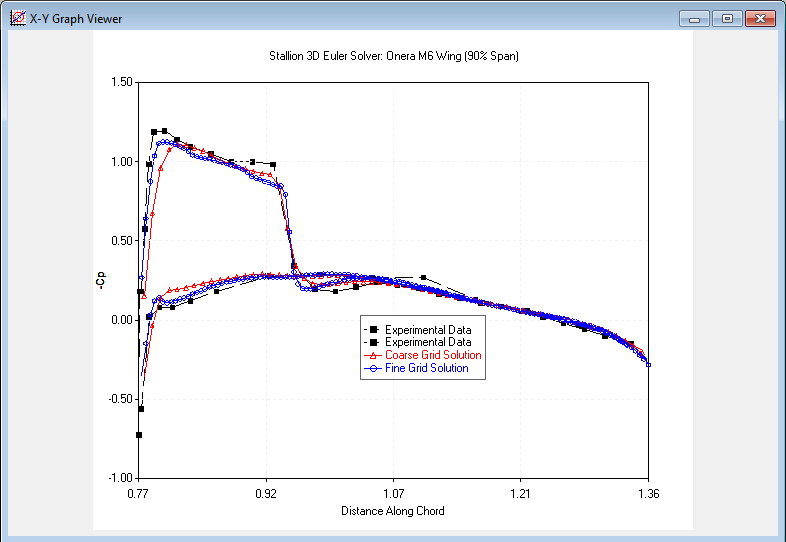 The video shows how Stallion 3d imports and analyzes a kite that was created in 3DFoil or MultiSurface Aerodynamics. The next time your have a BIG idea, do not hesitate to visit Hanley Innovations to Build It Even Bigger. 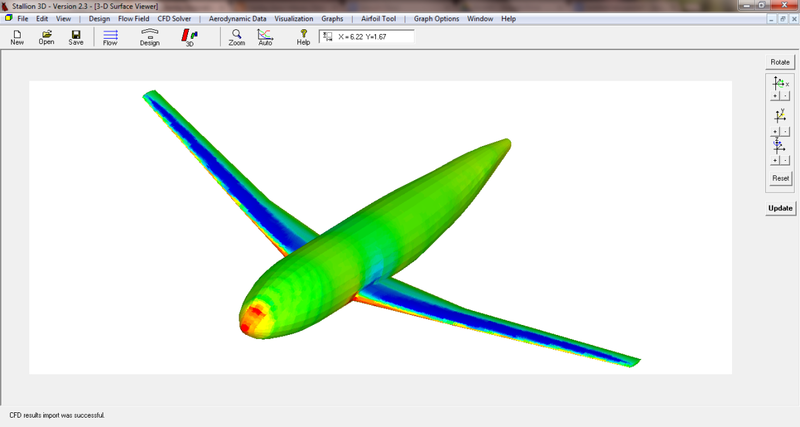 The Aerodynamics Class Pack combines airfoil, wing and the Stallion 3D software and the modules can be accessed your entire class on their individual PC over the course of one year. You may also call us at (352) 240-3658. 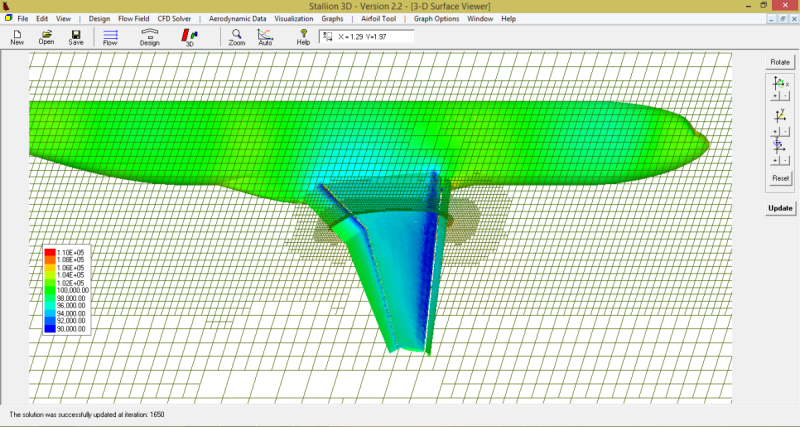 Hanley Innovations initiates Just-In-Time Pricing for CFD with $295 per month for Stallion 3D with HIST. Invariably, pricing-out engineering software for a project becomes a distressing scenario. Concrete conditions on lengths of lease times for software packages are frequently either too long or too short for particular projects. Compounding the issue is the task of piecing together separate integrated software packages and the inescapable hours and days of wrangling grids and points onto a surface. In response, Hanley Innovations has initiated Just-In-Time Pricing for CFD to further our commitment to facilitate a company’s or school’s lean manufacturing practices. Stallion 3D contains the novel algorithm HIST (Hanley Innovations Surface Treatment) which reduces your workflow to seconds. The program features fully automatic invisible gridding and Navier-Stokes and Euler solvers that handles viscous flows on complex arbitrary geometries on your laptop. Stallion 3D with HIST is a fully automatic, All-In-One, software package for analyzing 3D complex geometries in fluid flows (gas or liquid). 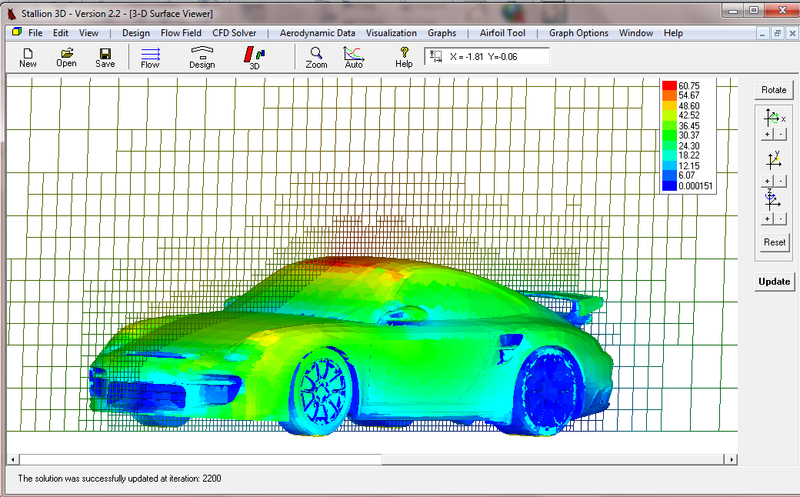 The software allows you to perform aerodynamics analysis on just your laptop or desktop computer. It employs a novel computational fluid dynamics (CFD) technique HIST that solves the fluid equations and produces plots of pressure, velocity, Mach number and temperature. 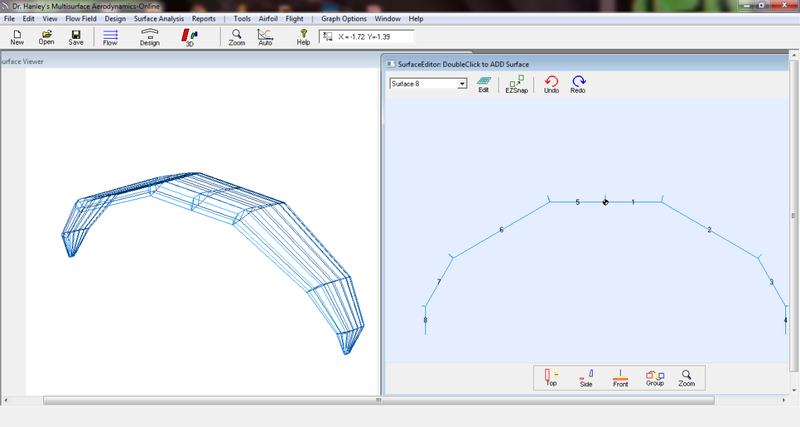 The software also computes the lift, drag moments and related forces acting on your 3D CAD geometry. More information about Stallion 3D can be found at http://www.hanleyinnovations.com/stallion3d.html or by calling (352) 240-3658. What is Stallion 3D with HIST - exactly? What is Stallion 3D with HIST? 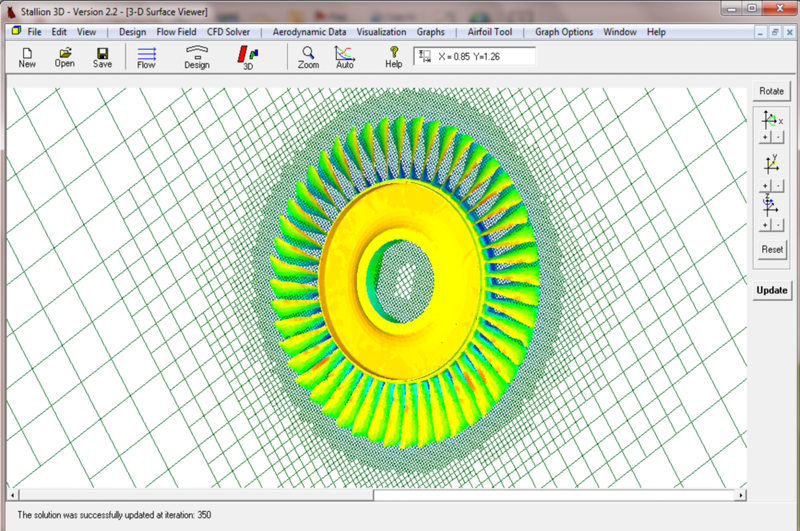 Stallion 3D is a fully automatic, All-In-One, software package for analyzing 3D complex geometries in fluid flows (gas or liquid). 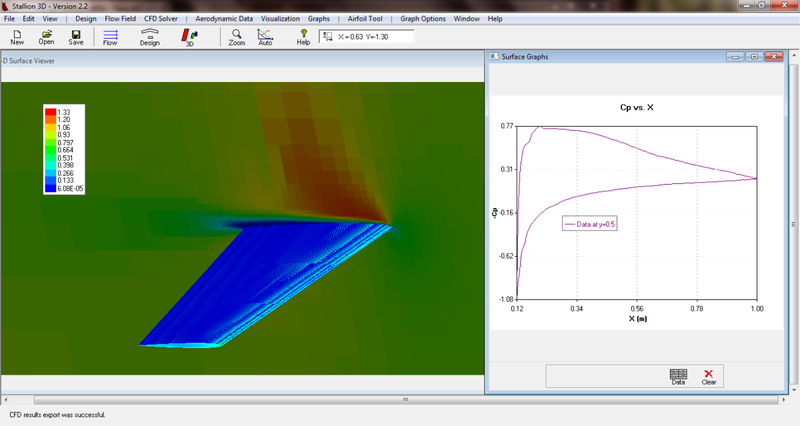 The software allows you to perform aerodynamics analysis on just your laptop or desktop computer. It employs a novel computational fluid dynamics (CFD) technique that solves the fluid equations and produces plots of pressure, velocity, Mach number and temperature. 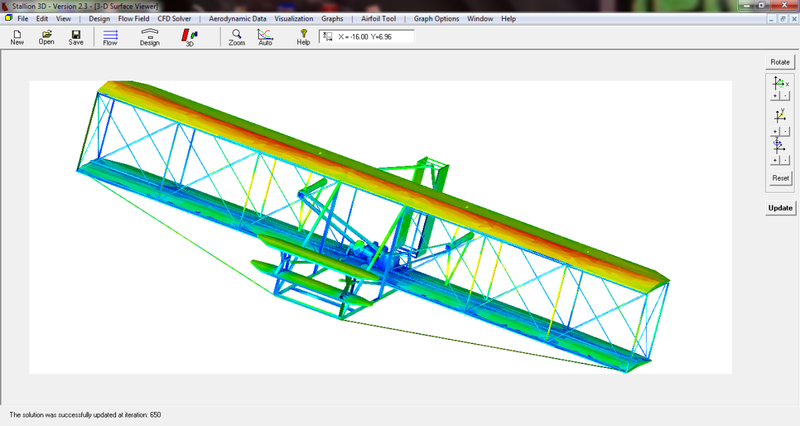 The software also computes the lift, drag moments and related forces acting on your 3D CAD geometry. HIST is the acronym for Hanley Innovations Boundary Treatment. It is a propriety CFD technique that applies the flow boundary conditions to arbitrary geometries immersed in a Cartesian Grid. HIST can handle both inviscid and viscous (no-slip) boundary conditions. 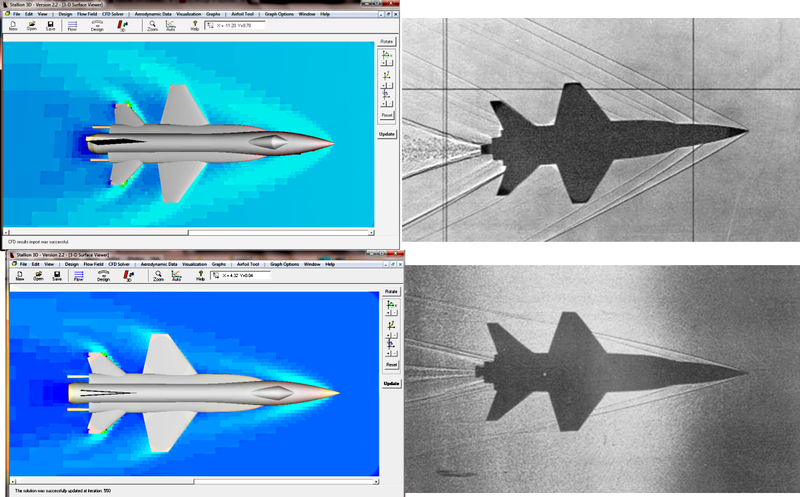 It can be used to solve subsonic, transonic and supersonic flow problems. 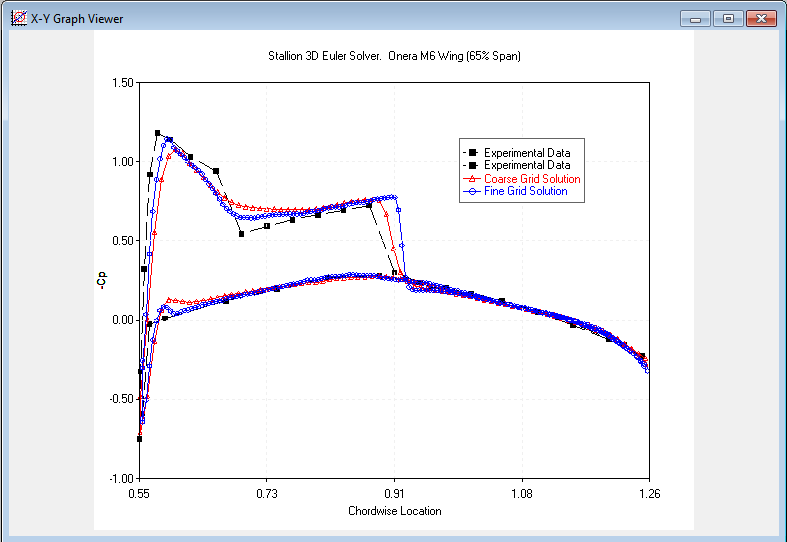 Stallion 3D Solution of Laminar Flow over a Tapered Wing. Why is the program referred to as an “All-In-One”? 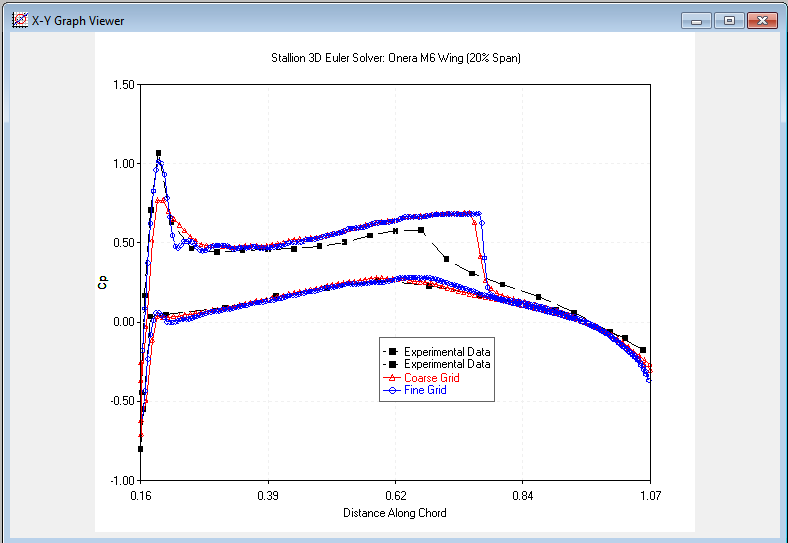 Stallion 3D does not require the purchase of additional software for pre- and post processing. . 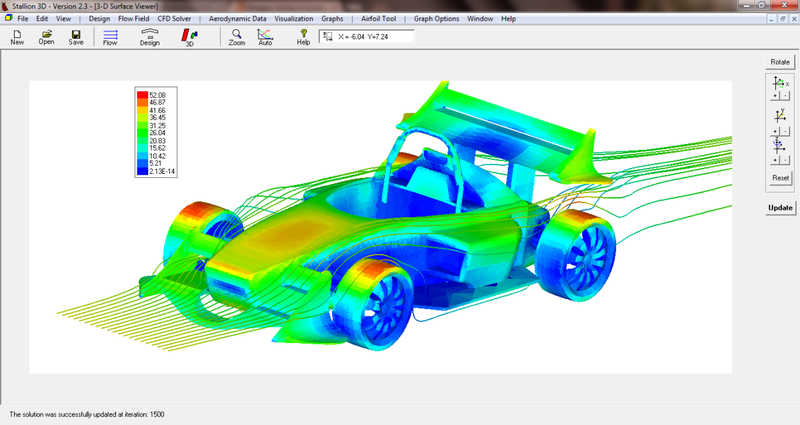 It handles everything from reading in a CAD model to graphing and tabulating the results of your aerodynamics/CFD analysis. 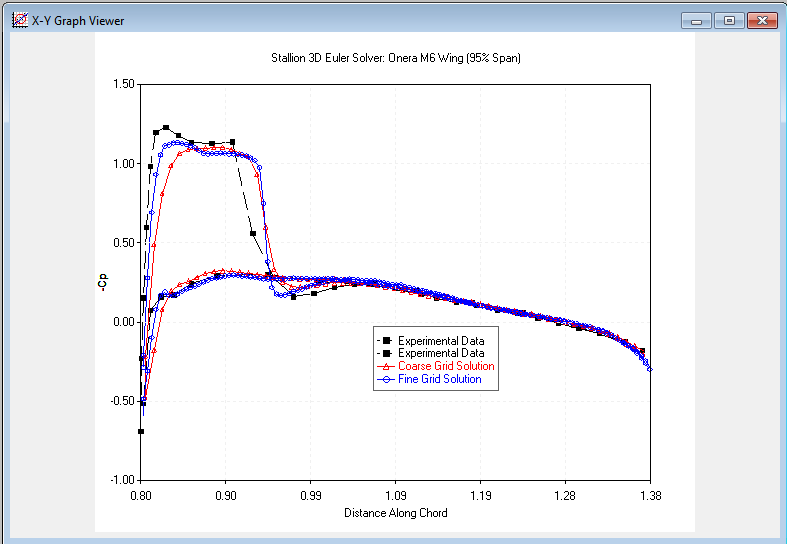 Is HIST similar to other grandfather or newer CFD solvers on the market freeware? The HIST solver is entirely new and robust enough to capture shock waves and analyze viscous flows. 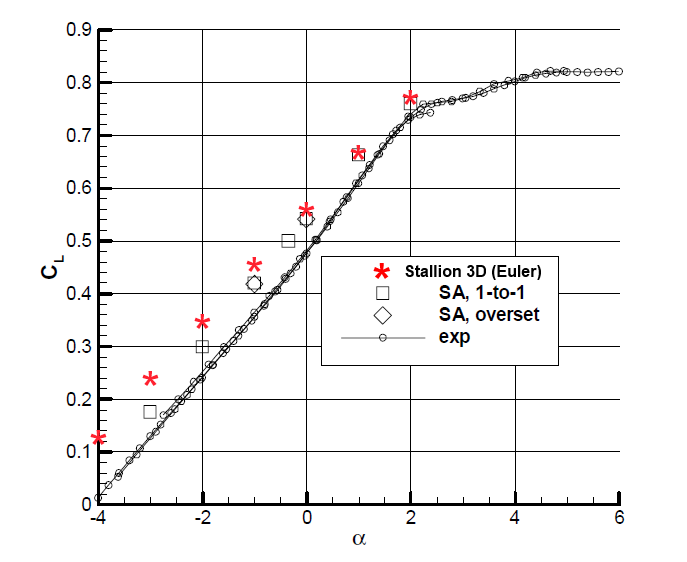 Is Stallion 3D with HIST, an interface software, to use with pre-existing Cartesian software program? It is not an interface program. 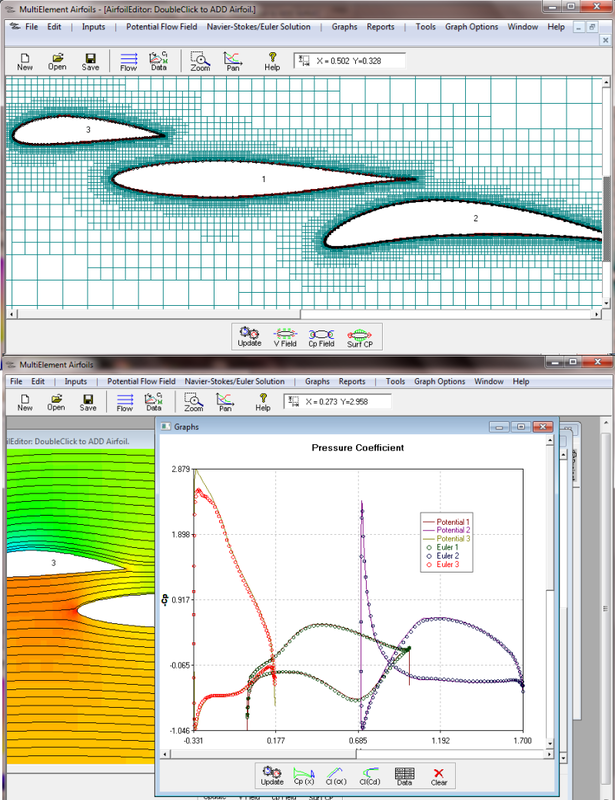 It is an All-in-One aerodynamics & CFD program for analyzing CAD geometries in a flow field. How long does it take for someone to setup a problem for analysis in Stallion 3D? Setting-up, literally, takes.... just seconds. Do I have to mesh a grid at any time? 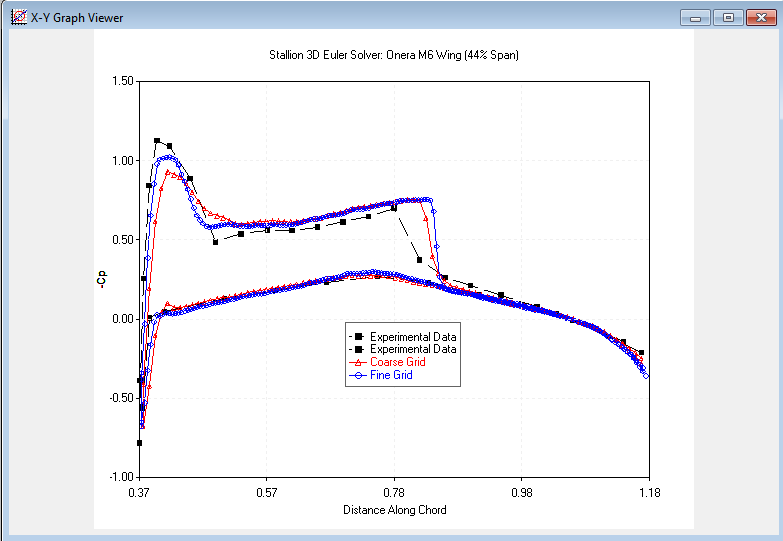 Stallion 3D specifically eliminates the need for our customers to grid because of HIST, our invisible meshing feature. Do I need to purchase a pre-processor or mesh generating software for Stallion 3D? No. Grid generation is built into Stallion 3D. Do I need to purchase a separate solver to analyze the geometry? No. It is built-in already in Stallion 3D. 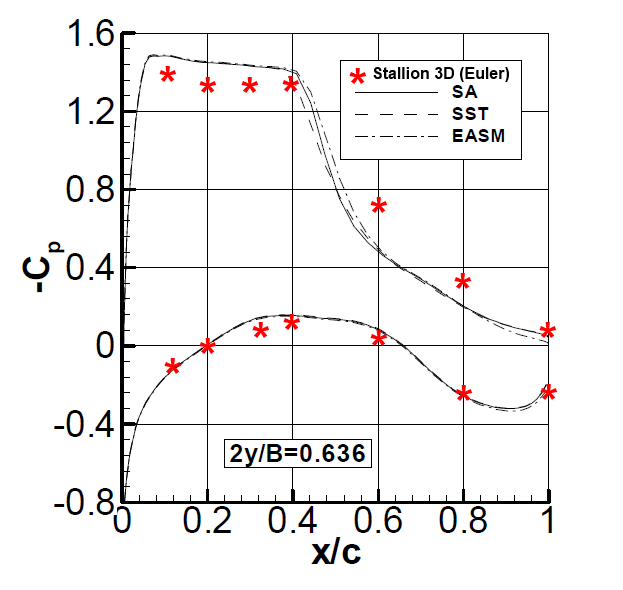 Stallion 3D is equipped with algorithms to solve the full 3D compressible Euler & Navier-Stokes equations. The analysis is valid for low and high speed flows of liquids and gasses. 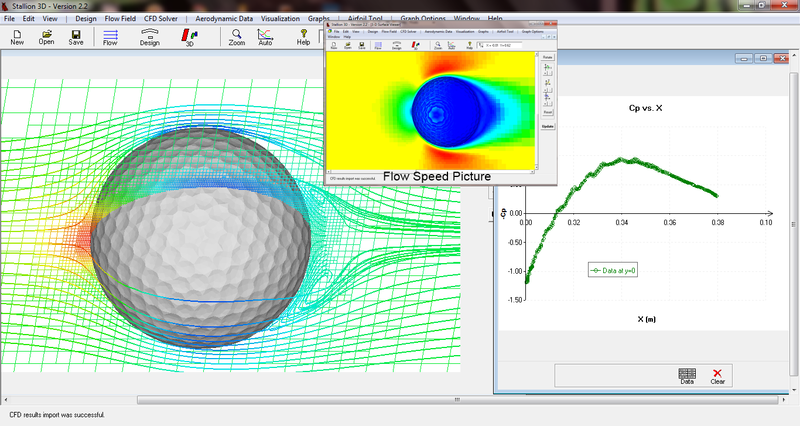 Laminar flow analysis over a golf ball using Stallion 3D. Do I need to purchase post processing or separate graphic package to see the graphics after the simulation is finished? No. It is built-in already in Stallion 3D. What are the workflow steps for Stallion 3D? 3. 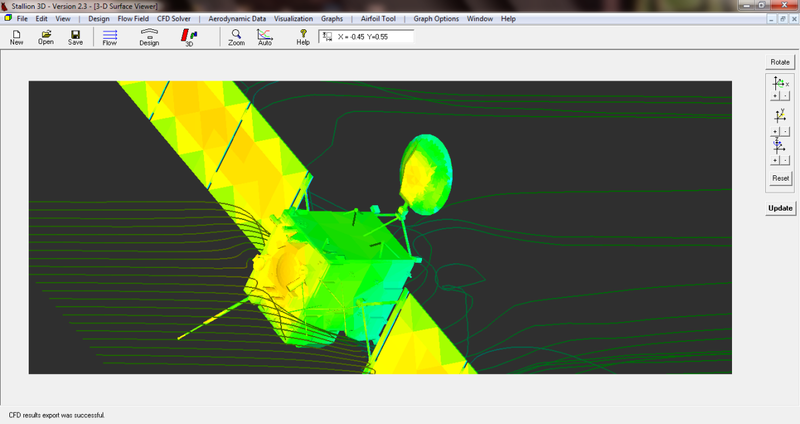 Stallion 3D will fully and accurately mesh and set-up your grid and begin the analysis. 4. Once the flow is analyzed, the program will automatically have your results ready for you to view or save. performs gridding, computations and post processing for complex 3D geometries. Laptop running the 64 bit version of Windows XP, 7 or 8 (8.1). Does the program use a cloud to run simulations? We do not use a cloud for running simulations. You can do all of your work on your laptop. 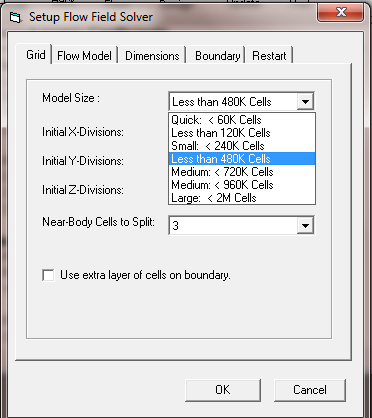 What is the general maximum number of cells that can be run for a Windows simulation? What are the current prices for Stalllion 3D with HIST as of July 2014? Please visit http://www.hanleyinnovations.com/stallion3d.html for current prices. How soon do I receive the Stallion 3D after ordering? The same day. Please call us at (352) 240-3658 or visit http://www.hanleyinnovations.com to place your orders. If I purchase the popular 3 month lease subscription, can I apply what paid for the 3 month lease to a 12 month lease? You can upgrade to a 12 month lease, with the 3 month credit.